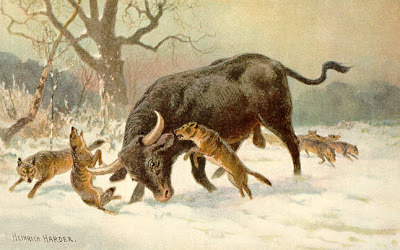 The aurochs - a species of wild cattle a little less than the size of an elephant and the ancestor of modern breeding cattle - has been extinct since 1624. And now a group of Italian scientists are planning to "breed back" the aurochs. I wonder how well-done aurochs tastes with A1 Steak Sauce.